A virtual course crafted to provide the aspiring students a kick start into Advance Java programming and to educate you both for advanced and core Java concepts with differentJava frame like Spring and Hibernation. BagyaTech’s Advanced Java Course has been crafted for aspiring students and professionals who desire to be a Java Developer. It is a learning course which covers core as well as advanced Java concepts such as Threads, Database connectivity, Collections, Exception Handling, Servlets, JSP and XML Handling. You will also gain knowledge about different Java frameworks such as Hibernate and Spring. Create the code with several Java conditions, types and loops. Execute arrays, strings and function handling ways. Acknowledge object sloping programming via Java Objects, Classes and several other Java concepts such as Final and Abstract. Make use of parse XML doc via SAX and DOM and Java. Encrypt in JBDC to interact with Database. Develop web apps and JSP pages. Execute SOA via web services. Why go for Java/ J2EE? Java being an overall purpose, object oriented, class based computer coding languages was developed by James Gosling in 1995 at the Sun Microsystems. Independent Platform- it permits the programmers to develop apps which can execute on any OS Use of Java- Java is surely the most commonly run programming language. It is almost used everywhere. It hardly matters which domain you work in, one will surely come across Java language sooner or later. Open Source: The best part is that Java is accessible for free. The environment (JKD and JRE) along with the development instruments which are used in the development of Java apps are available for free. Android: Regardless of the fact that you are into technology or not, all of us are badly stung by the Android bug! Android is surely the heart and soul of mobile phones and tablets. And luckily, one requires Java for Android development. This has increased the importance of Java. Hadoop: It is the most trending structure for processing and programming Big Data. Hadoop is designed and advanced in Java. Regardless of the tough competition in the tech world from Microsoft and other tech company, Java is doing exceptionally well on mobile phones. It is the basic language for Hadoop development. 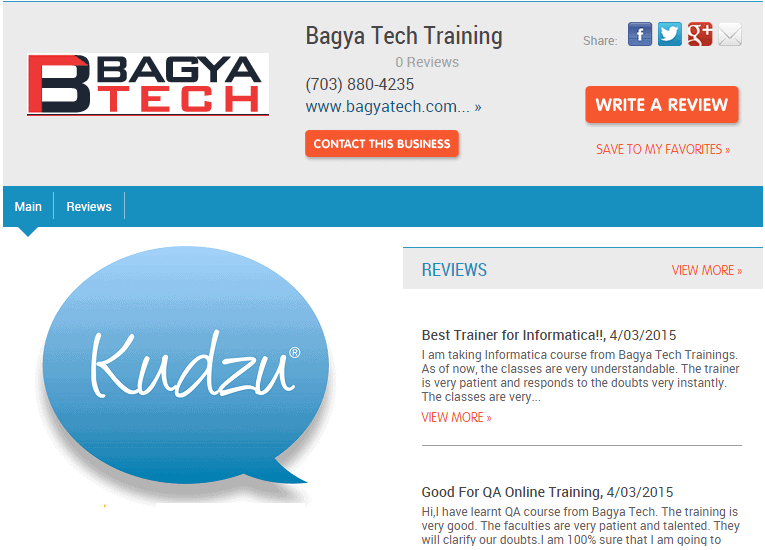 So, once you complete your Java course from BagyaTech, we promise to make you thorough Java professionals.